Department stores are designed to make us spend; their beautifully bright halls can make us feel weak at the knees, the temptation to spend feeling somewhat overwhelming – and it’s no surprise. Floor plans, salesperson strategies and clever up-selling tactics may feel like an extension of the whole experience at the time, but upon retrospect it’s easy to see where we may have been coerced into opening our purses more times than we initially anticipated. So how can we step into a department store and enjoy the experience, without handing over bundles of cash and coming away with bags full of things we don’t really need? How can we play salespeople at their own game and ensure we spend wisely, take advantage of promotions and leave the store with items we truly will cherish? I’ve got some top tips to share that I hope will make you savvier and even more pleased with the purchases you do eventually make. If you’re stepping onto counter, be prepared with a mental list of items you need and those that you don’t. Try not to be persuaded into buying something because it’s on offer, new or a ‘best seller’ – unless you would buy it after shopping alone in Boots. The salespeople are there to help you make good decisions and ensure you pick the products that work for you, but they’re also there to make sales and commission; like with any industry there are great and not-so-great examples, but it’s worth taking what they say with a pinch of salt and using your common sense. Really tempted by that bright blue eyeliner or bold berry lipstick you wouldn’t normally have chosen? Take a couple of days to mull it over and think about whether you actually need it; if you’ve just been swept away in the excitement of the moment and realistically would never use it once you got it home, leave it on the shelf. What may seem like a great idea when surrounded by people that live and breathe skincare and makeup, when you get home and show your mates it may seem like a waste of money. regardless and return to purchase the full size at a later date. All of the offers and deals aren’t always displayed on counter, as many of them disrupt the premium look and feel of the display. Ask the sales assistant if there are any current promotions, offers or discounts available and how you can qualify – because there could be a stonking offer you’d never know about otherwise. as an opportunity to forge a relationship and ensure they remember you. best way to save money and still look fabulous. If you need to re-jig your look or don’t know the best way to create a smokey eye, book in for an appointment and take advantage of the lessons and makeovers that are usually free of charge. This is an opportunity to really learn how to use the tools they’re offering, as well as identifying the steps that will just add faff in the morning (therefore saving you some money.) Many makeovers or appointments also offer mini products included for a small fee (that’s often redeemable against a purchase,) so do your research and see how you can take advantage of a brand’s need to turn you into a loyal customer. Do you work in a department store and have any advice for customers, or are you a savvy shopper and have any other tips to share? 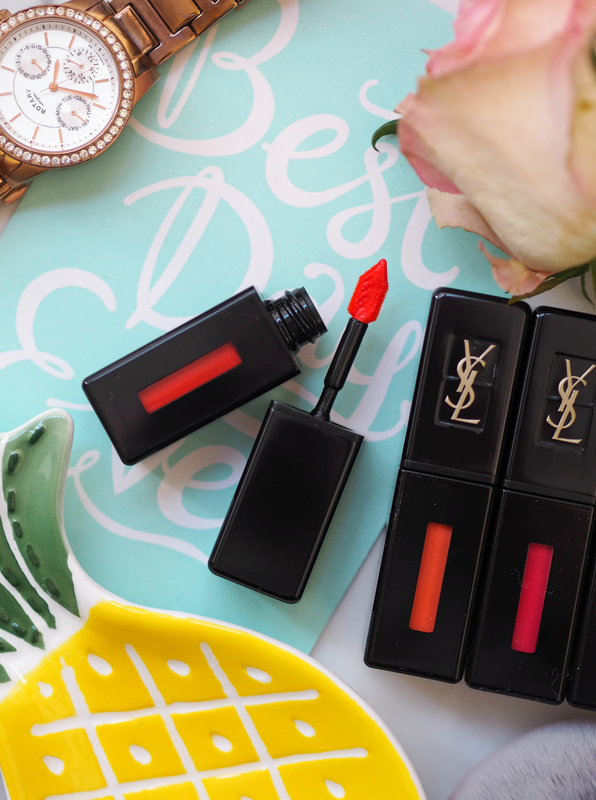 Special mention to the starring lip product, YSL Vernis à Lèvres Vinyl Cream (£26.00 each), which offer a fab high-shine glossy stain result. Available in all department stores now. Lolz. I'd love to see that post!